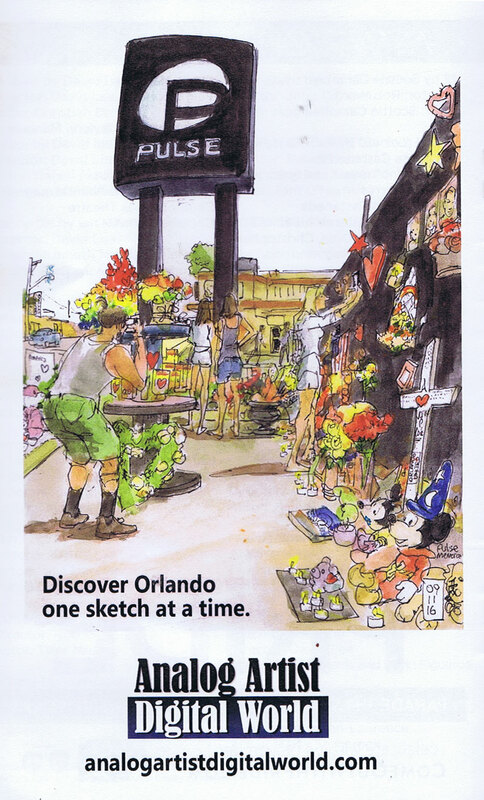 The Abridged Orlando Fringe Sketchbook documents 10 years of the Orlando Fringe in sketches. 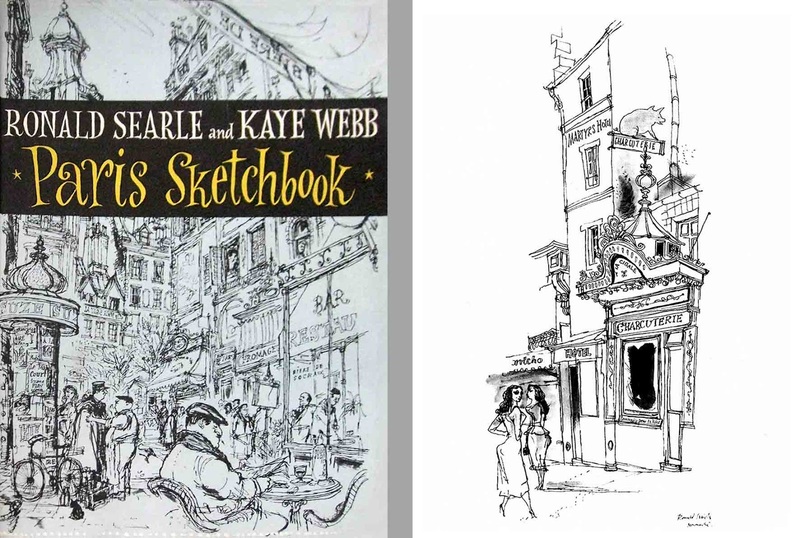 The project began in 2009 and today, 10 years later, the sketching continues. Above is a sample of the first 10 pages of the book. 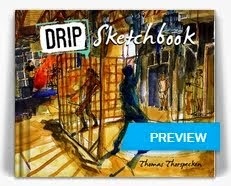 This abridged Fringe Sketchbook is 110 pages with over 200 sketches. The book is going to press now and will be available at the 2019 Orlando Fringe Festival. Each year has a few paragraphs highlighting my favorite shows of the year. 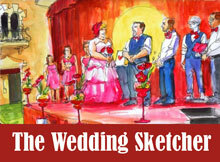 The goal has been to assemble every sketch done at Fringe shows over the past 10 years at an affordable price. The books will sell for about $25 at the Orlando Fringe. If you would like to pre-order a book contact pam-schwartz@hotmail.com. If you pre-order we will arrange to give you the book when you arrive at the Fringe Festival. 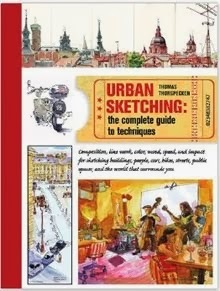 If there is enough interest we will print more books. 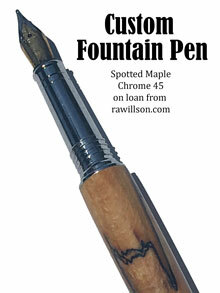 We can take orders via pay pal, checks, or of course, cash. As an added bonus, prints and original Fringe paintings, are being offered at half price. $100 per print, and $200 for an original. Should you want me to frame the art I can arrange that for $100 more. 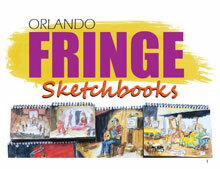 If you order original art or a print, you will get an Abridged Orlando Fringe book thrown in for free. A much larger 249 page book that has all the original articles written for Analog Artist Digital World is also being produced. As part of the Winter Park Paint Out I have been painting on Park Avenue. The City of Winter Park has an ordinance making it illegal to create anything on this stretch of real estate. I printed out the map of illegal areas and decided to only focus my attention in this forbidden zone. The Polasek Museum and Sculpture Gardens got permits allowing artists to document this area so I am taking full advantage. This little strip of shops was apparently just recently purchased and the French coffee shop I loved has had to move out. Behind the coffee shop is an outdoor garden seating area. It seems that the new owners plan to close off that garden spot. The two men smoking cigars were there for quite some time. They talked about the stresses of life and feeling guilty when not working. They sounded like financial advisors discussing where to best ride the market. This painting will hang in the Albin Polasek Museum starting tomorrow through Saturday April 27, 2019. Today will be the Sun­set “Paint-In” at the Win­ter Park Rac­quet Club on Lake Mait­land, 2111 Via Tus­cany, Win­ter Park. Tele­phone: 407-647-2226 from 6pm to 8:30pm. You invited to join us as Paint Out Artists gather on the shore of Lake Mait­land at the Win­ter Park Rac­quet Club. There we’ll cap­ture a beau­ti­ful Florida sun­set, then take a break from the week’s activ­i­ties. Come share the vista with us and watch as these out­stand­ing artists cre­ate a sun­set mem­ory on can­vas. A cash-only bar and buf­fet will be avail­able to non-members, so please make an evening of it! Stop out, enjoy the sunset and say hello! On April 26, 2019 from 5pm to 8pm, there will be a Happy Hour and Digital Media Painting Demonstration with Thomas Thorspecken at the Polasek Museum and Sculpture Gardens, (633 Osceola Avenue Winter Park.) Featuring Poets will be from the Kerouac Project of Orlando. Two local historic studios, the Albin Polasek Museum and the Kerouac Project of Orlando, will join forces to present this night of live art. Local poets will showcase the work of the Winter Park Paint Out’s live poetry contest on Allpoetry.com and read their own work while artist Thomas Thorspecken, known locally as Thor from Analog Artist Digital World blog, demonstrates the art of the rapid sketch. Plein air requires the ability to adapt and capture the subject matter quickly while conveying the energy and emotion of the subject. 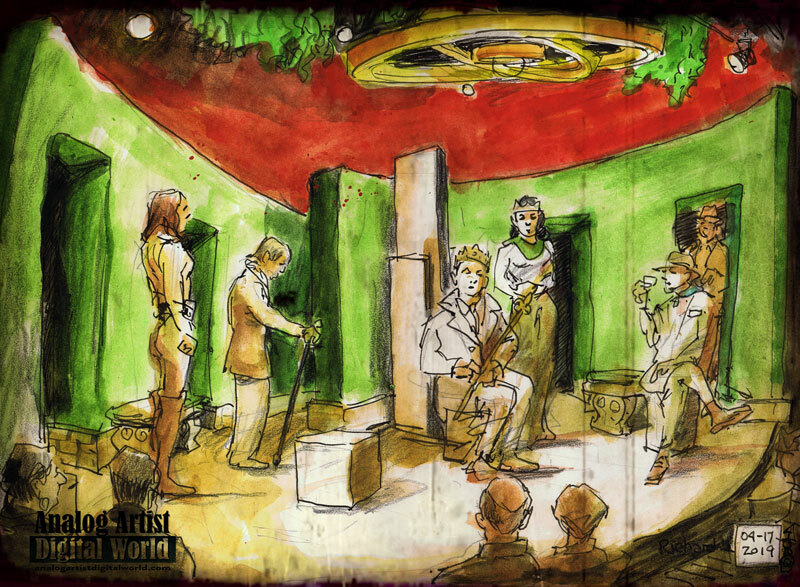 True to Thor’s digital following, the artist’s sketch and progress will be projected onto a large screen so viewers can enjoy the developing picture while they contemplate the diverse poetry selections. Beer, wine, and appetizers will be available for happy hour beginning at 5 p.m. The demo will begin at 6 p.m. 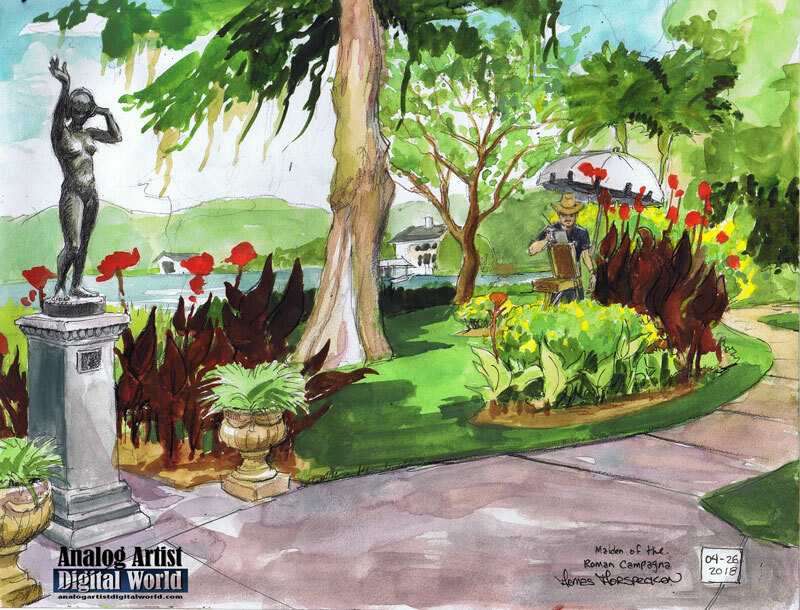 The Albin Polasek Museum and Sculpture Gardens will host the eleventh annual Winter Park Paint Out Plein Air Festival from April 21 to 27, 2019. The museum, sculpture gardens, and gallery will be free to the public during the week-long event. Twenty-five professionally-acclaimed plein air artists will paint at the Polasek Museum and locations nearby with art lovers invited watch the artists at work, view their recently completed paintings in the gallery, and attend free painting demonstrations. More than ten free instructional demos with the artists at the Polasek Museum and nearby locations will take place during the week of the event. Twenty five artists descended on the Albin Polasek Museum and Sculpture Gardens ( 633 Osceola Ave, Winter Park, FL 32789) for a group photo in front of the building. There was a gorgeous blue wisteria in bloom and the photographer wanted us all to pose in front of it. With so many glorious blooms there was a swarm of bees busy flying from flower to flower pollinating. Being tallish I had to stand in back with my head in the blooms. The photographer asked us to smile and I grimaced, certain a bee was nesting in my thin hair or settling on the tip of my nose. Ultimately I survived the excruciating photo shoot. What followed was a several hour mix and mingle with some finger food and wine. Pam and I joked with several artists as we sat in the blue lawn chairs behind the museum. When it grew quiet, we realized the party had moved inside. There was a loud speaker which amplified everything said inside. When we were trying to hear what was going on inside it became impossible with everyone talking at once. Contributing artist had painted small square canvases for Hal Stringer. This was his birthday and also the first day of his retirement. We were seated right next to the birthday cake which had lots of candles on it. I didn't have a chance to count them. Hal made an announcement that he hoped that the number of candles would match the number of paintings sold this year. Each artist would be hanging the painting created during the week on a section of the gallery wall that was designated with a number. Those spaces were assigned lottery style. Hal had created 30 small square paintings. The artists each were asked to pick up a painting. A number was inside each painting and that number would be the artists gallery spot. I picked up a deep maroon painting. I had considered a blue painting and a bright orange painting was also on my radar. I agonized before picking. My spot was number 13 which was in the second gallery room right next to the bathrooms. Last year I had exhibited in the spot right across from 13 even closer to the bathrooms. I think exhibiting near the bathrooms is a good thing. Everyone had to go there at some point and after they relieve themselves they might feel cheeky as they walk out and want to buy some art. I will be hanging a new painting each day at the museum. Be sure to stop out and check out all the work as it is created in the Polasek Museum Gallery. The Winter Park Paint Out (WPPO) is officially under way. Easter Sunday April 21, 2019 was the open house at the Albin Polasek Museum and Sculpture Gardens (633 Osceola Avenue Winter Park, FL 32789.) After dropping off a painting for the gallery walls, I went in the gorgeous gardens and decided to sketch these two musicians from the Florida Symphony Youth Orchestras.Tonight I will frame this painting and it will hand on in the Polasek Museum for the week along with every other painting I do this week. All the work is for sale. A portion of any sale will go to support the great work they do at the Polasek Museum. Mention that you are an Analog Artist Digital World fan, and you can get a 30% discount on an original painting of mine in the gallery. If you have never been to the Polasek you should head out this week sometime since admission is free for the duration of the WPPO. The other painting I hung on the walls is a nocturne of the Lake Eola Fountain. Twenty-five professional plein air artists will paint at the Polasek Museum and locations nearby with art lovers invited to watch the artists at work, and view their recently completed paintings in the gallery and attend free painting demonstrations. A full list of painting demonstrations and events can be found on the WPPO website. I plan to document as many events as I can. Besides doing journalist sketches of the WPPO events, I plan to do a series of paintings of Park Avenue at night. On Friday April 6, 2019 from 5pm to 8pm, I will be giving a happy hour demonstration called Digital Poetic License. Poets from the Kerouac House Project will be reading poetry in the Polasek Garden as the sun sets over Lake Osceola, and I will be doing a digital sketch live on my iPad with the sketch in progress projected on a movie screen so that the audience can see my thought progress in real time. All artwork from the WPPO may also be viewed online as it is created at winterparkpaintout.org and of course my art work can be seen here daily. The opening night of the 2019 Florida Film Festival was celebrated with a thrilling film premiere at Enzian Theater (1300 Orlando Ave, Maitland, FL 32751). The opening night film was Woman in Motion directed by Todd Thompson. To most of the known universe, Nichelle Nichols is Lieutenant Uhura, the communications officer aboard the Starship Enterprise. On Star Trek she broke barriers as one of the first African Americans to star in a network show and as a participant in television’s first interracial kiss. In reality Nichelle Nichols was a pioneer, a fiercely intelligent and passionate advocate for African Americans, women, and minorities. She worked with the NAACP and Dr. Martin Luther King Jr. as a role model for young black children and women. Beyond that, Nichelle Nichols is arguably the single most important figure in history for the recruitment of women and minorities to the field of space exploration, specifically the NASA space shuttle program. After the premiere, patrons sampled food and cocktails from favorite local spots and an open bar at Eden Bar. It was an outdoor feast where patrons could mingle and celebrate with all the folks would be their new cinematic best friends for the next ten days. Patrons ate, drank, were merry, and discussed all the films that might be seen at the festival ahead. This legendary party launched a non-stop, fun-filled, ten-day celebration of Film, Food, and Friends. 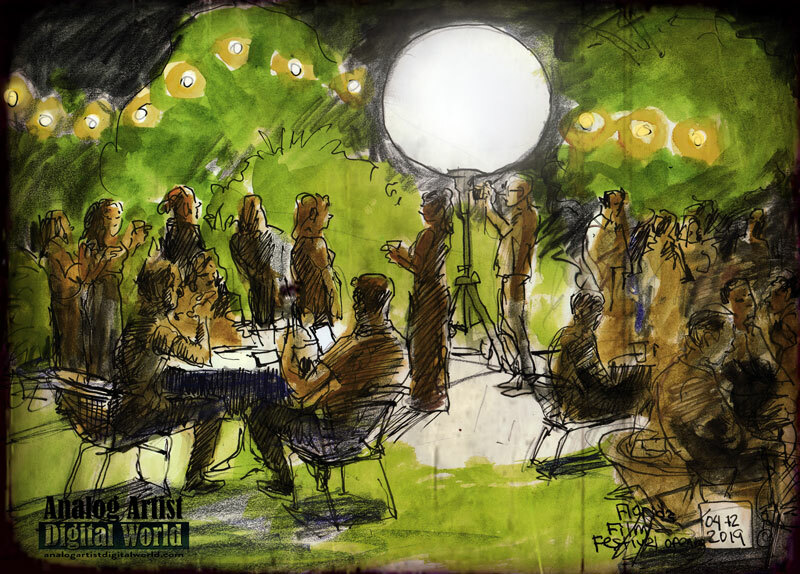 When Pam and I arrived, I quickly sat in a open spot to sketch the moon shaped orb that illuminated the lawn next to the Eden Bar. Pam explored a bit and sat with Scottie and Brendan to catch up. When My sketch was done, Scottie asked if I had included him in the sketch. Unfortunately he was out of my line of sight. Pam and I tried a few vendors food booths to see what was available at this gala opening party. First up we tried a slice of pizza from Medici Pizza. It was kind of hard to judge the pizza since it was ice cold. We picked up a flyer anyway and might go to the restaurant to try a hot slice instead. Roque Pub was offering bites, beer and wine. Better yet they had a $10 off coupon and a bumper sticker. Now I don't put stickers on my bumper,but I did place it on the cover of my sketchbook which is mighty fine ad placement for hundreds of years to come. Should you be a local business wanting sticker exposure look no further than the AADW sketchbooks. The other food treat I tried was from La Empanada and that was delicious. After a couple of bites of cheese I had seen enough. I had my sketch and the party was in full swing. We decided to get back home since I had to get up early to teach all day Saturday. Today is the final day of the Florida Film Festival, so get out and support independent cinema. Richard II is a historical play written by William Shakespeare in 1597. It is being presented at the Orlando Shakes through April 28, 2019. Richard II (Ryan Farley) was an arrogant, narcissistic and bumbling king. He surrounded himself with sycophants who fed off his good fortune and did his bidding. By brashly putting his own vanity before the needs of his kingdom, he created the perfect opening for Bolingbroke (Amy Hutchins) to seize the throne. His true self was stripped bare when he had to surrender the crown. When he took the crown off his head and handed it to his foe, he couldn't bring himself to let go. He cried and ranted like a spoiled child extending his monologue as long as possible to avoid his ultimate surrender. At one point he stood in a spotlight high above his throne, with the crown above his head. As he lowered his arms, Bolingbroke stepped in front of him to allow him to place the crown on her head. Richard turned, hopped down and continued his monologue. The Shakes production his set in modern times with a gender equal cast. To help the audience with the casting, they would often announce their name and title as they walked onto the stage. The set by Ruthmarie Tenorio, resembled a royal garden and the golden rings floating above stage of course represented the crown. At one point one giant ring floated down to surround the jailed King Richard further confining him. "I wasted time, and now doth time waste me." Mirrored boxes were repositioned in each scene to break up the space and to remind the audience of the kings vanity. I have to give a shout out to the costume designer (Denise R. Warner) who made Bolingboke look regal and refined in every scene. In equal measure she made the royal court look like spoiled dandies and the common folk like mid-western farmers. The language in the play was delicious. It is some of the most engaging prose I have heard from Shakespeare and the modern twist made it clear that out modern rulers are not that different from the rulers of the past, though they might be less eloquent. For the final act I put the sketch away and just let the prose wash over me. Every character had clear motivation and the story flowed unhindered to its inevitable conclusion. I absolutely adored this production. These are the remaining show dates. Don't miss Richard II! 9am to 5pm Free. Earthfest 2019. Renningers Mount Dora Flea Market and Antique Center 20651 US Highway 441, Mount Dora, Florida 32757. ART ARMY Mt. Dora. is hosting a Big Art festival to introduce the newest addition to Rennigers Flea Market. 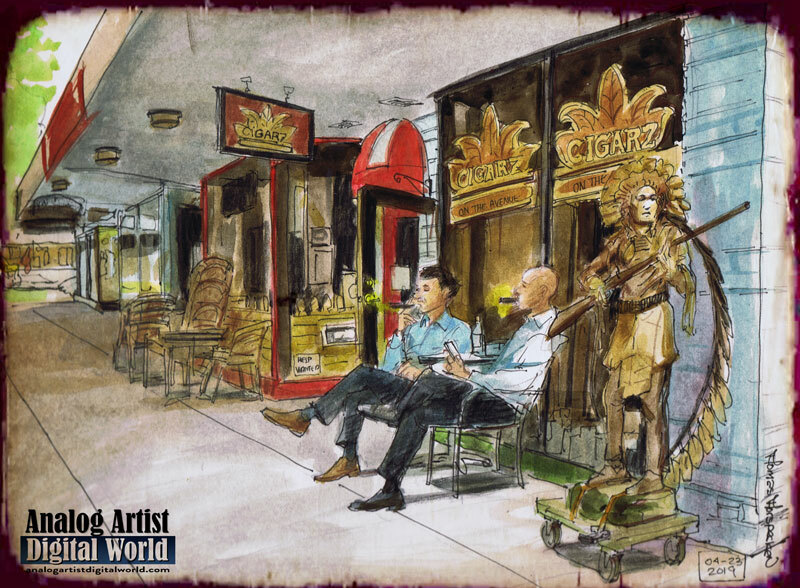 Its very own Art Village; that showcases more than a dozens of artist's regularly. And what better way to do all that then by celebrating our blessed mother Earth. We will be giving tours of our very own earth made dwellings on site. Meet the earth man himself Sean Micheal Flynn. 5 alive artists doing live art, Jim Preston, Bryan Abbey, Color Me Crazy - Leona's Art. Live music by Glofish Music, Southern Classic, Adam Engelson and others. LIVE art performances throughout the day. 100 vendors, artists ,Performing Arts. Crafters, Body painting and healing arts. Plus food vendors!!! 10am to 6pm Free. Central Florida Earth Day 2019! Lake Eola Park, 512 E Washington St, Orlando, FL 32801. Central Florida Earth Day is back--bigger and better than ever! It will be held on Saturday, April 20, 2019 from 10:00 a.m. to 6:00 p.m. at beautiful Lake Eola Park in Orlando. Please join us at the largest and most prestigious Earth Day event in Central Florida. The event will include healthy living and eco-friendly exhibitors, speakers, and presentations; non-profits; fun and games for kids; dog and cat adoptions; restaurant booths; environmental and humane education; artist and craft corners; and live music and entertainment. Central Florida Earth Day will draw both committed environmentalists and those who want to learn more about how to protect our health, the planet, and its inhabitants. You can promote your business or group to thousands of people who want to learn more about environmentalism and the varied products and services that support an eco-friendly and a veg-friendly way of life. All money raised will be used for local environmental education and outreach. For more information, visit www.CFEarthDay.org. This website will be continually updated as additional sponsors, vendors, restaurants, speakers, musicians, etc. are added. Please check back often for all the exciting changes! If you are interested in being a vendor, please go the Vendor Packet page. If you are interested in being a volunteer, please go to the Volunteer page. Please also join us for other Earth Week activities to be announced. See you at Central Florida Earth Day 2019! 4pm to 6pm Cos-Play Figure Drawing. Elite Animation Academy 8933 Conroy Windermere Rd, Orlando, FL 32835. Five minute poses with a few longer poses mixed in for loose gestural sketching. Thomas Thorspecken is the instructor. 1pm to 4pm Public Open House Chalk Walk Winter Park Paint Out Polasek. 633 Osceola Ave, Winter Park, FL 32789. Winter Park Paint out artists drop off their first painting in the gallery. The Albin Polasek Museum and Sculpture Gardens will be hosting their eleventh annual Winter Park Paint Out from April 21 to 27, 2019. The Winter Park Paint Out officially starts with this Easter Sunday open house where festival artists will paint in the picturesque sculpture gardens. Artist Cory Wright will lead registered teams in the Student Chalk Walk competition by creating a chalk design on one of the garden’s sidewalk squares and then giving participants two hours to create their own designs. All K-12 students are invited to register in teams for the competition by e-mailing rfrisby@polasek.org. 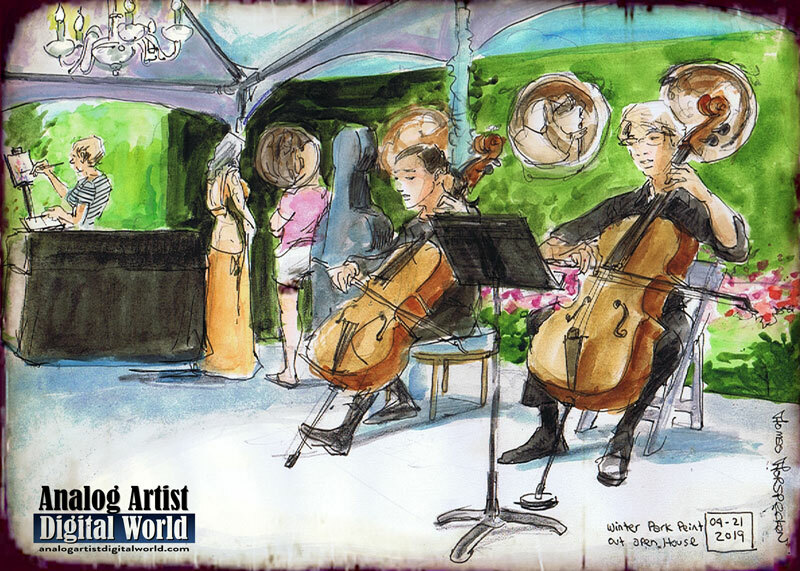 Complimentary art activities for all ages will be available in the gardens throughout the afternoon as well as a free lakeside performance by the Florida Symphony Youth Orchestras. Visitors are encouraged to bring blankets and chairs; limited seating will be provided. The gallery and sculpture gardens will be free to the public during the week-long event which will feature twenty-five professional plein air artists will paint at the Polasek Museum and locations nearby with art lovers invited to watch the artists at work, view their recently completed paintings in the gallery and attend free painting demonstrations. 5pm to 12am No Cover. “It Is Here”. ICEBAR Orlando, 8967 United States, 8967 International Dr, Orlando, FL 32819. Fans of the hit fantasy drama television series “Game of Thrones” are in for an icy treat as world-famous Icebar Orlando announces its month-long celebration “It Is Here” to commemorate the series finale. From Saturday, April 13 until Saturday, May 18, guests of the coolest bar in Orlando can take the throne within Fire Lounge with no cover Sunday through Friday and enjoy the bar and dance floor, or cross over the wall and join Night's Watch inside of Icebar featuring specially-themed Game of Thrones cocktails available on a secret menu. Guests will receive a souvenir digital picture, take in live ice carvings every Saturday starting at 7pm and entertainment by special guest DJs. Icebar will also host Game of Thrones trivia Sunday through Thursday from 5pm-9pm and Fridays and Saturdays from 5pm-7pm. Trivia participants who get five or more answers correct will receive half-off a drink and be entered to win a $1,000 VIP experience. No tickets are required for “It Is Here”. The “Small Counsel VIP Package” with bottle service, appetizers, desserts and faux fur coat upgrades is available for $350 (five people). 8pm to 11pm $5 Donation. Folk Night with The 502s, Beemo, Jordan Foley and the Wheelhouse. The Falcon Bar and Gallery 819 E Washington St, Orlando, Florida 32801. The 502s are a raucous indie folk group formed by three cousins from Central Florida. Since 2015 The 502s have taken their swaggering blend of Americana across the coast including Okeechobee Music Festival and Communion Records' NYC showcase. Their album is a heartfelt invitation to good old-fashioned fun, and their Facebook video for lead single "What To Do" has garnered over 600,000 views on Facebook. Enjoy the ride! Beemo is an acoustic Americana band with mountain music roots from Orlando, Fl. Their sound is a blend of indie-rock, Irish folk, bluegrass, and elements of the singer/songwriter genre, drawing inspiration from REM, Johnny Cash, Nickel Creek, and Ray LaMontagne. In 2018 Beemo released their first full-length album Bustin' Out, and were named Best Folk Band by Orlando Weekly! The Salisbury House and Gardens (4025 Tonawanda Drive Des Moines, Iowa 50312) depends on volunteers for it's survival. A volunteer sat patiently at the entrance waiting to guide the next guests around the historic property as I sketched the Great Hall. Only a few rooms on each floor are available to tour. 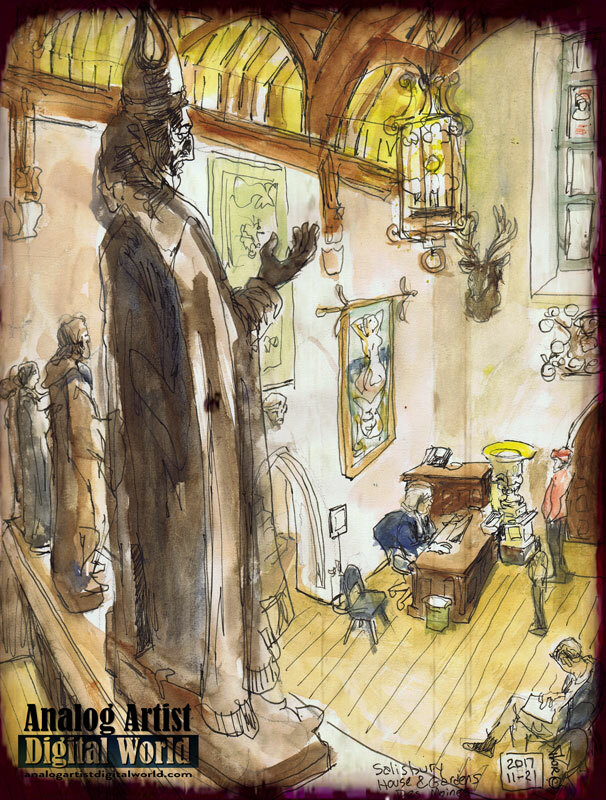 The first floor rooms included the Great Hall, the Common Room and the Library. 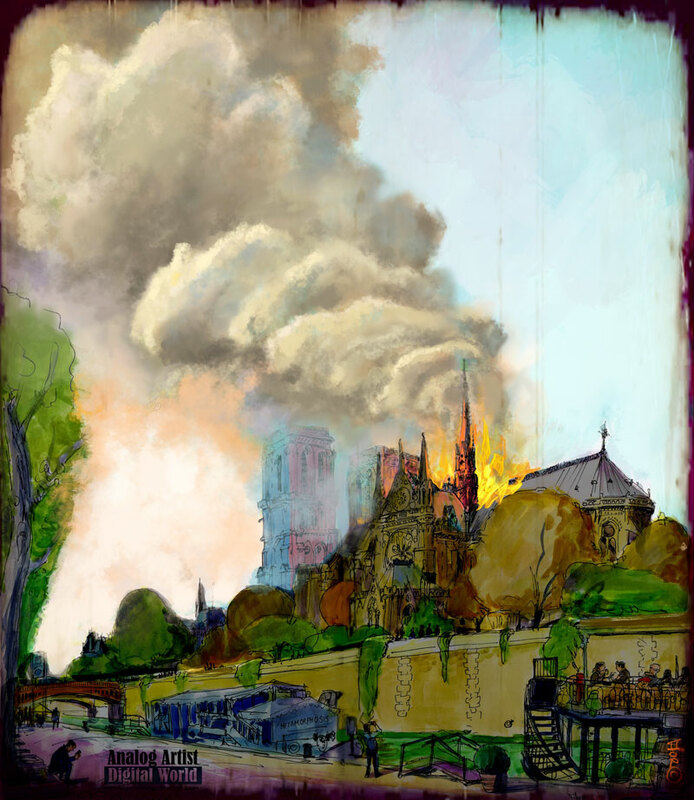 Unfortunately the museum’s historian and curator was let go in order to save money which means the preservation and care of the collection is in danger. She was let go shortly after questioning the management by the executive director to the board. The historic home is not on a sustainable financial path. Nine people have been let go for lack of revenue or have quit because of an increasingly toxic environment. Today, the nonprofit has no curator, no volunteer coordinator, no full-time accountant and no marketing director, the former employees said. The historic home has had a long history of financial difficulties. Carl Weeks, founded a multi million dollar cosmetics empire in Iowa. On a trip to Salisbury England Carl and his wife Edith found the Kings house which became the model for the new home they wanted to build in America. 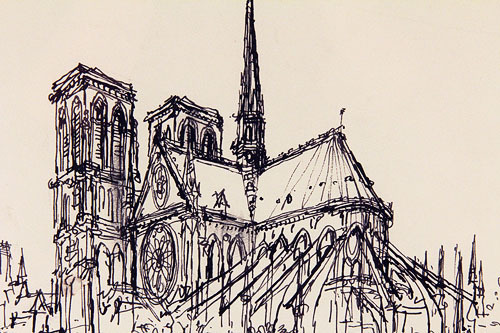 Construction began in 1923 and took five years to complete. The cost was estimated at three million dollars. Art from around the world was collected by the couple. Most impressive was the library which contains 35,000 rare books. The family moved into their new home just before the market crash of 1929. The house became too expensive to maintain. To survive they leased the home to Drake University with the stipulation that they could stay as tenants in the home until their youngest son graduated college. Eventually the home was purchased by the Iowa State Education Association for $200,000. The Weeks family moved into a much smaller home. The Salisbury House Foundation was founded in 1993, to preserve and share the property for the cultural and educational benefit of the public. They began operating it as a historic house museum. Hopefully they are up to the task of preserving the home. But it seems there are bigger problems on the horizon due to mismanagement. Historic house museums have been closing and selling off collections around the country. The executive director admitted that the Salisbury is suffering financially. Revenue has dropped more than 40 percent in recent years, according to IRS records. It's serious enough that leaders are considering selling part of the home's vast collection. The increasingly skeletal staff seems unable to keep the place afloat. The home is struggling and depends on the generosity of supporters to sustain its existence. The future is very uncertain. UCF Celebrates the Arts presented El Wiz as a staged reading at The Dr. Phillips Center for the Performing Arts. 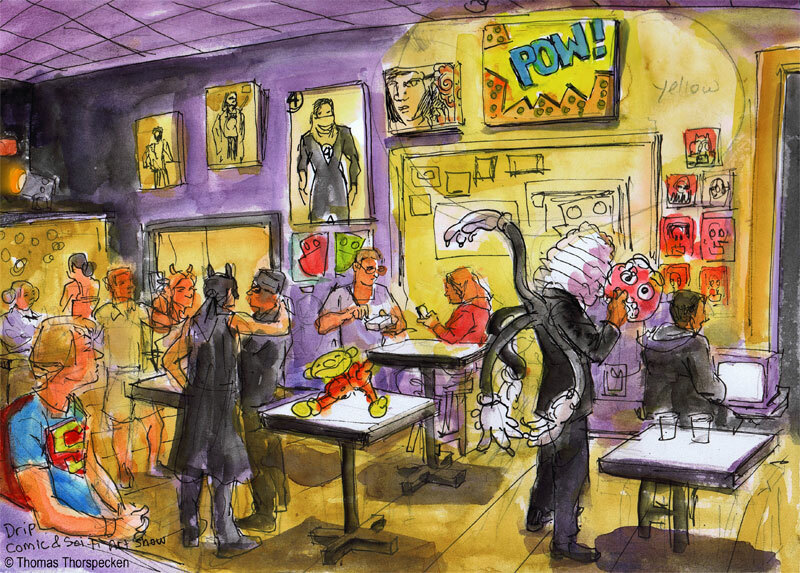 Based on a book by Paul Castañeda, the show was originally conceived by Juan Cantu and Paul Castañeda. Paul sat house right reading stage directions for the staged reading. The show was based on the Wizard of Oz but set in Puerto Rico just before Hurricane Maria hit the island. The Narrator, (Josh Ceballos) introduced the familiar cast of characters on the island. Chico, the scarecrow (Emile Doles) was a quiet and socially awkward man who had an eye for details no one else would notice. Juanito, the tin man (Eric Parafan) had loved a man but had his heart broken. He felt he could never love again. Eddie, the lion, (Joe Llorens) just wanted some cajones. Dorothy (Crystal Lizardo) fell into a deep sleep before the hurricane hit. She woke or so she thought in a strange new place. In this new world she was given a very blingy pair of Nike sneakers with red white and blue sequins. Her dog Toto was a puppet who came alive when she held him in her arms. From the start she wanted to return home to her Mami and Papi but she was instructed to go to the Emerald city for advice on how to get back home. The journey was fraught with dangers. For me the most powerful number in the show was Vas A Ver, or You'll See in English. Sung by Esperanza, (Paul Padilla) the song was about how the strength of family can overcome any hardship. He performed with just the right amount of resolve and throaty growl. His face grew so red as he sang that I was concerned he might burst a blood vessel. It was an amazing performance. The joy of this show is that it takes itself lightly. There were many references to Lin Manuel Miranda since the playwrights clearly were inspired by his musicals. The plot moved effortlessly and the actors playfully joked and teased one another. I have only studied Spanish in a cursory fashion on Duolingo, but I was able to follow every bit of the show. When Dorothy finally got back to her home island it has been destroyed. She took the lessons learned in her dreams to gain strength in the belief that family can endure any difficulty. The cast and creative team deserved a standing ovation.